Would you like your webcam to send photos to your email every certain period of time? Or maybe to an FTP Server? 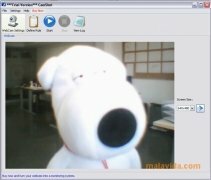 CamShot is the perfect program to manage these kinds of actions from your webcam. 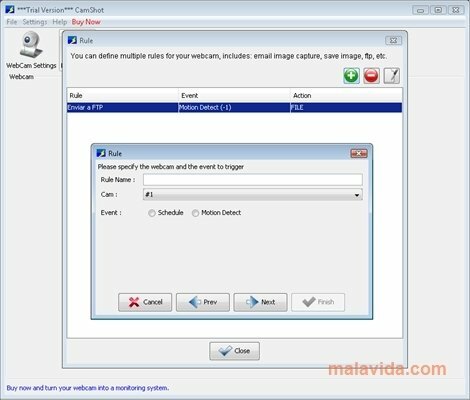 This small program is perfect to configure different guidelines for your webcam to follow step by step. 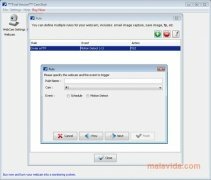 You can configure CamShot so that your PC's camera takes photos when something moves in front of it, a certain amount of time or for it to save photos on your PC, an FTP server or to send them by email. It has an incredible amount of options! CamShot can also be configured to sound an alarm if the webcam's image changes, so that we will be able to know if something changes in the area that the camera is watching. Furthermore, each action performed by the program is automatically saved on a log, so that it can be checked whenever we want. The program also allows us to configure as many guidelines as we want, so that we will be able to indicate the webcam to send, save and record everything we need.